“POWER,” PART 3 – Things are not what they seem. Not in Wakanda, and not in America. 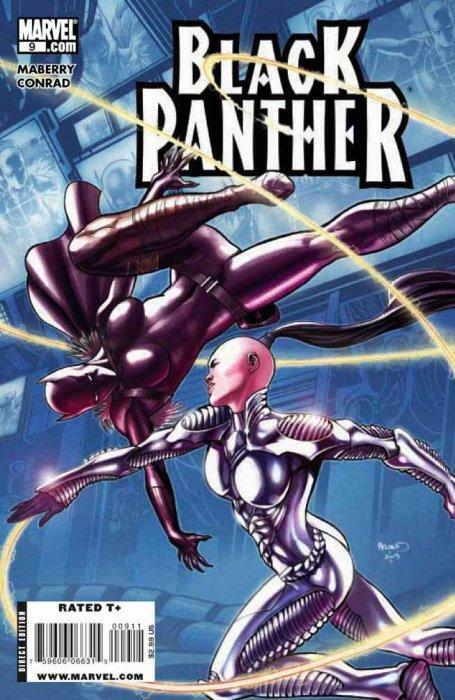 As T’Challa takes the first steps along a pathway that will transform him forever, the new Black Panther fights for her life against the vicious super-villain know as Predator, unaware that it is merely a warm-up for a collision with one of the Marvel Universe’s most powerful and feared players. Shuri’s battle is cut short with the arrival of reinforcements. She manages to escape but her enemies plan has worked she will be lead right into a trap. 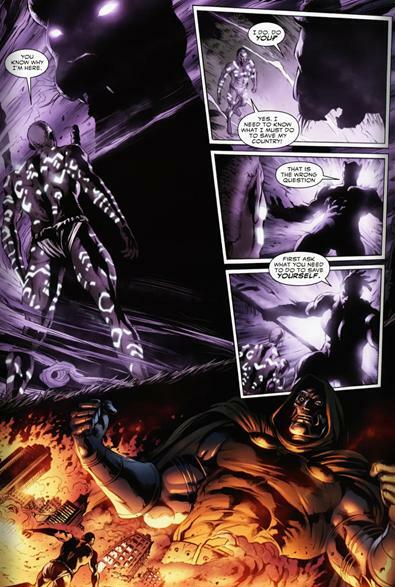 In Wakanda T’challa has decided to undergo Zawaviri’s offer of Power. He enters the realm of an unknown Panther God to gain more power. He is apparently successful and continues training with the adored ones even more powerful than he was before. Dr. Doom and Namor oversea an interview and discussion about the apparent fall of Wakanda in which former queen Ororo is interviewed at two different locations. Shuri jets off to meet a man who has defected from Wakanda to America and may be the source of some of the stolen tech. Shuri contact Reed Richarads of the fantastic four about info on Namor. She finds the lead for the stolen Wakanda tech and engages him but before he can give her any information she detonates a bomb on his body saying Wakanda is for the Desturi! She survives miraculously only for the foes from earlier descending on her. The story takes a decidedly darker tone with the introduction and naming of the Desturi a terrorist fanatic clan of Wakandans. 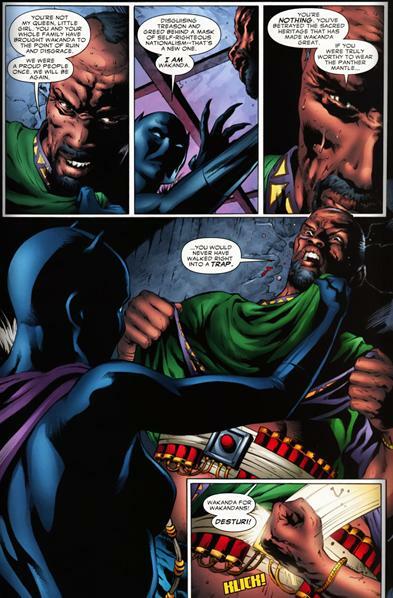 That self detonation was a shocker and makes Wakandas current plight even worse. The Desturi area very scary adversary and with Namor and Doom waiting in the wings things are going from bad to worse for Wakanda and it’s new Black Panther. T’challa and the adored ones prepare for what seems an inevitable clash with Dr. Doom which will tie in directly to Doomwar. T’challa’s new powers are mysterious and never truly explained leaving room open for various interpretations in the future. Issue was fast paced and very full of action. Art continues to be uneven with some panels being gret and others just missing the mark completely. What’s up with Shuri’s costume? It seems to get tattered every other issue? Whatever happened to the vibranium weave? She’s been in increasingly dangerous situations since becoming the panther and she’s going around in a normal skintight suit? Seems ridiculous or someone clearly has not boned up on their wakandan technology.